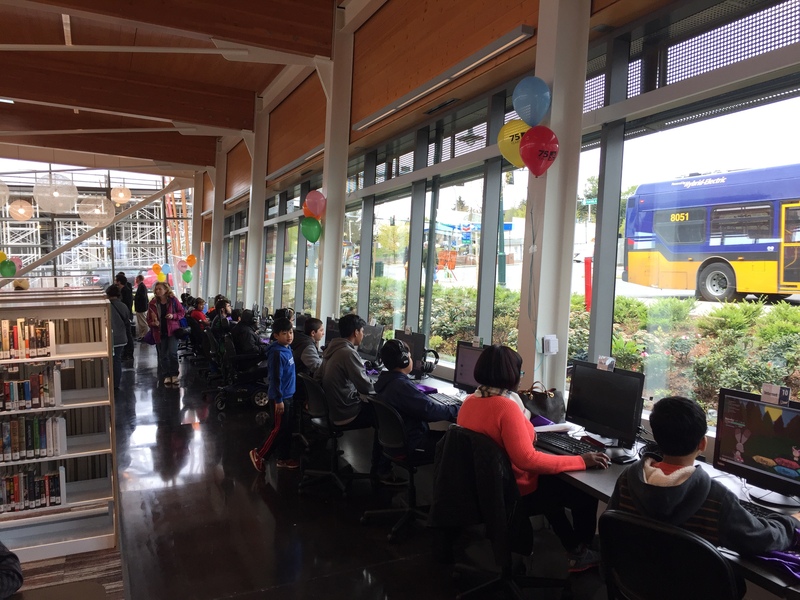 The City of Tukwila is creating a special place in the heart of a neighborhood. We call this place Tukwila Village. 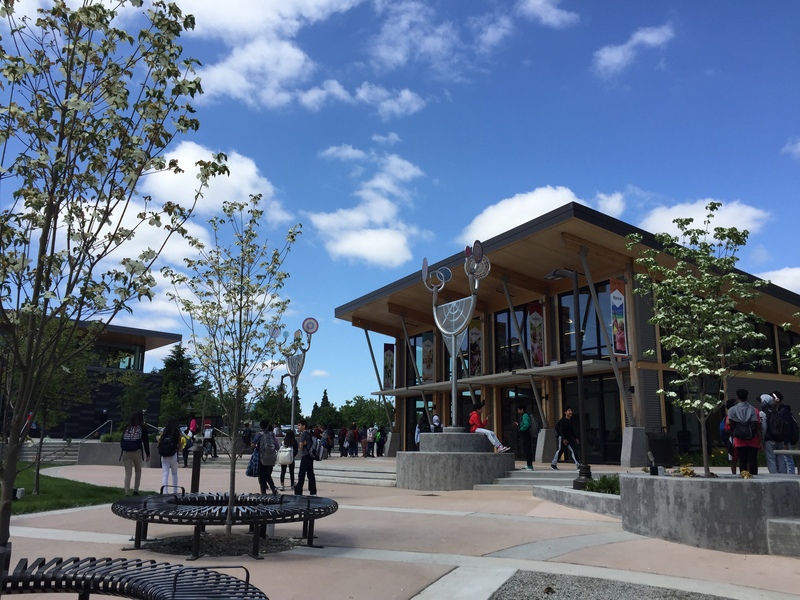 Today Tukwila Village includes a branch of the nationally recognized King County Library System, the Sullivan Center (a community room with kitchen), Kona Kai Coffee, an outdoor plaza, 193 affordable apartments for seniors, and the headquarters of SHAG (Sustainable Housing for Ageless Generations). 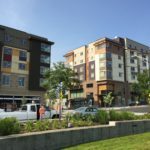 By 2020 Tukwila Village will also include a restaurant, small retail businesses, live/work units, and a total of 398 apartments (primarily for seniors). 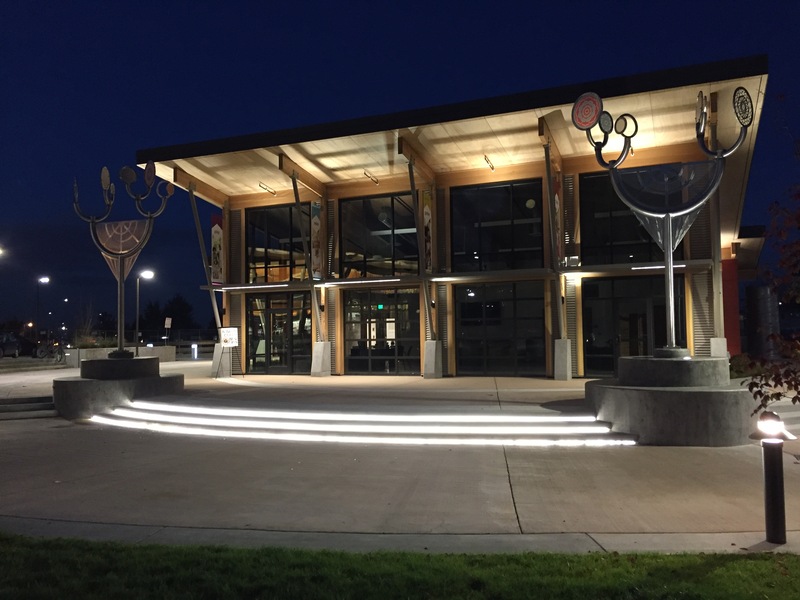 Located at the intersection of Tukwila International Boulevard and South 144th Street, Tukwila Village is within 10 minutes of downtown Seattle, 5 minutes to SeaTac Airport, is served by two active bus routes, and walkable to the Tukwila light-rail station. 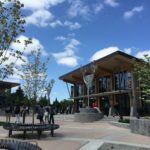 The neighborhood around Tukwila Village is walkable to schools, parks and a grocery store. 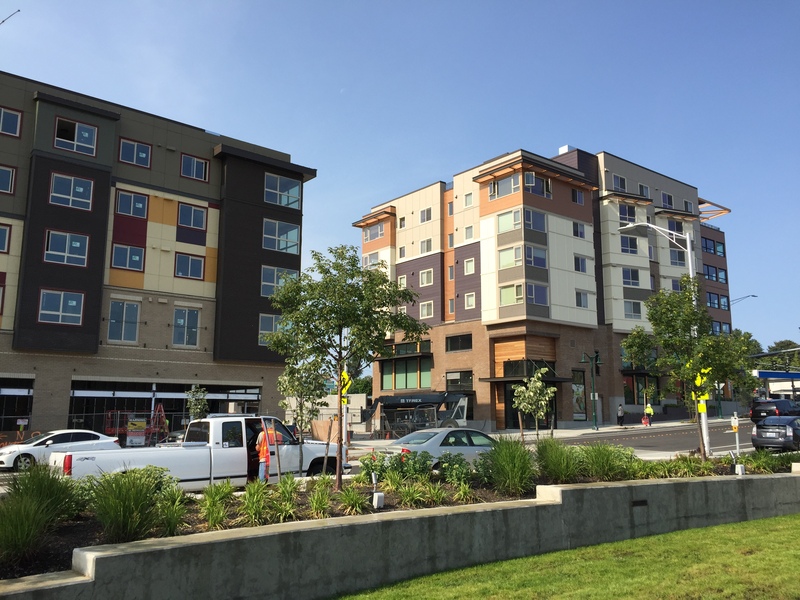 Do you want to live at Tukwila Village? 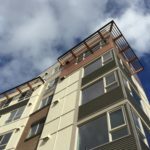 If so, please visit SHAG’s website or call their leasing office at 206-487-5281. 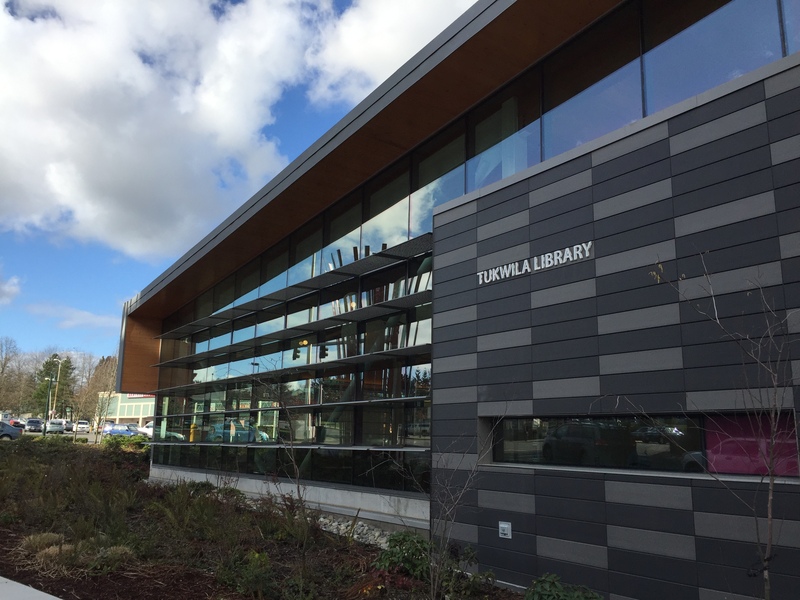 In April 2017 the King County Library System (KCLS) opened the new Tukwila Library, which is the building on the northeast corner of Tukwila International Boulevard and South 144th Street. 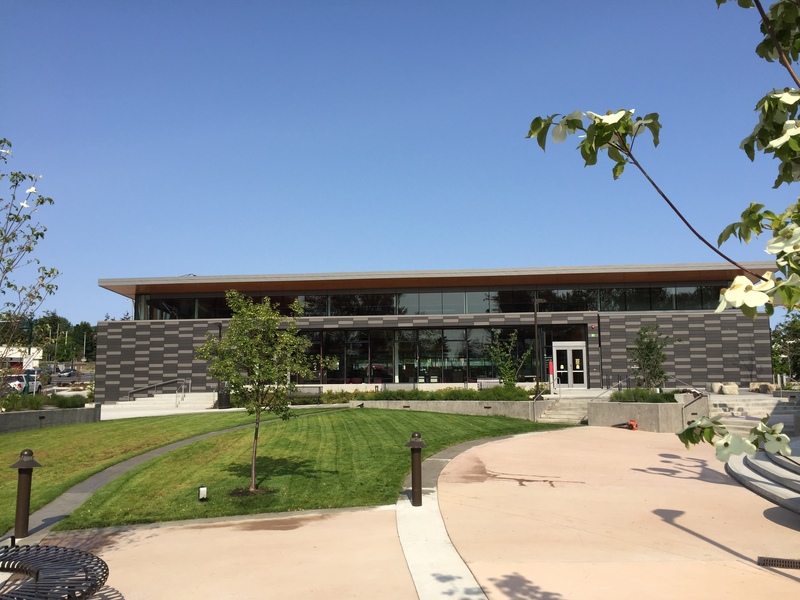 In fall of 2017 Kona Kai Coffee opened inside the Sullivan Center building, which also includes a community room with kitchen and is surrounded by an outdoor plaza. 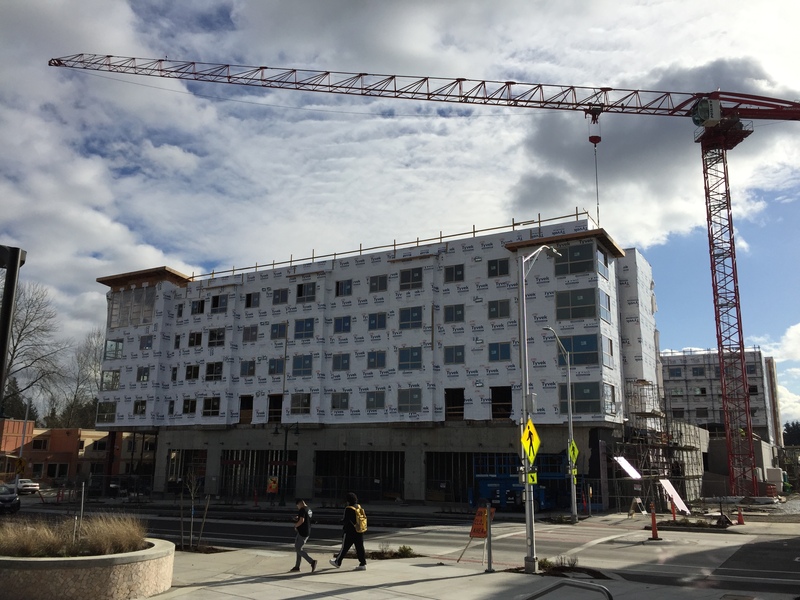 Tukwila Village Development Associates (the developer) is currently constructing two apartment buildings on the south side of 144th Street. 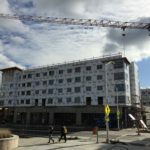 When complete, the buildings will be five and six stories and will comprise 193 apartments for seniors, the headquarters offices for the Senior Housing Assistance Group, and 4,000 square feet of office and retail space. The first building opened in May of 2018 and the second building will open fall 2018. The developer will also construct two additional apartments buildings which will open in 2019 and 2020. They will include 205 apartments, 4 live/work units, a restaurant, and some retail space. Approximately 165 of the apartments will be dedicated for seniors. 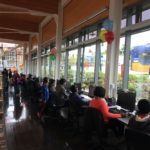 On June 6, 2011 the City Council selected Tukwila Village Development Associates, LLC (related to the Senior Housing Assistance Group or “SHAG”) as the master developer and authorized the Mayor to begin negotiations. 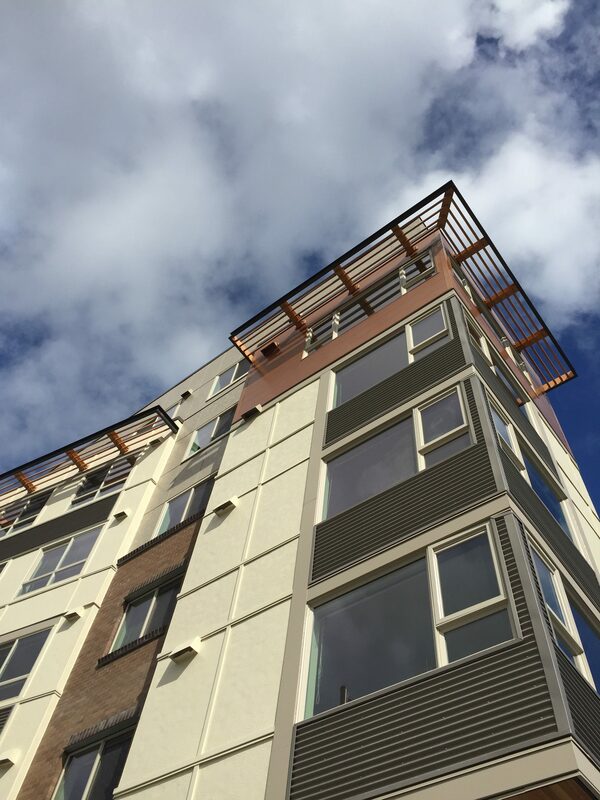 SHAG shares ownership and operations for over thirty multi-family housing developments in the Puget Sound. Their properties mainly provide affordable senior housing. 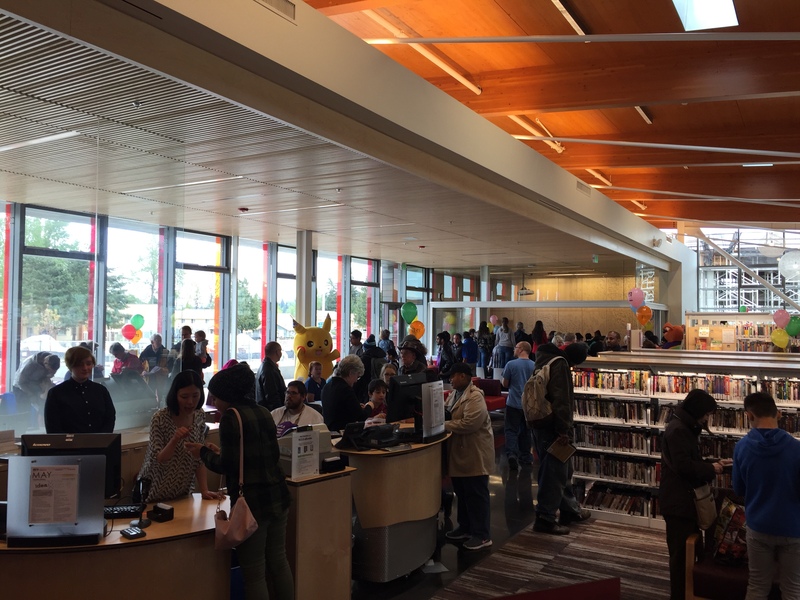 Also in June 2011, the City, King County Library System (KCLS), and developer began tri-party negotiations for KCLS to construct a branch library on a portion of the site. Throughout 2011 and early 2012 the parties developed a conceptual site plan for the general location of the buildings and parking and continued negotiations. 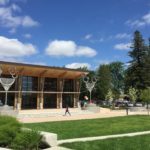 On November 17, 2011 the City hosted a community meeting to gather input on what type of activities and events the community would like to hold in the community room or on the plaza. The draft deal terms with the developer and library were discussed at the City Council meeting on December 19, 2011. 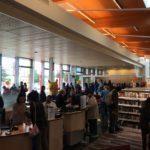 In June 2012 the Board of the KCLS Foundation voted to undertake a fundraising program to increase the size of the future Tukwila Library to be 10,000 square feet. The key deal terms between the City and KCLS were approved by the City Council on June 25, 2012. 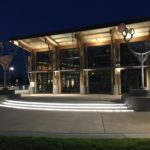 On October 22, 2012 the City Council approved the main agreement with Tukwila Village Development Associates (a Disposition and Development Agreement). The DDA was signed on October 30th. On November 28, 2012 the City and Developer hosted a community meeting to discuss the conceptual plans for the plaza and commons. On December 10, 2012 the City Council approved a Development Agreement (DA) for the project which was signed on December 21, 2012. 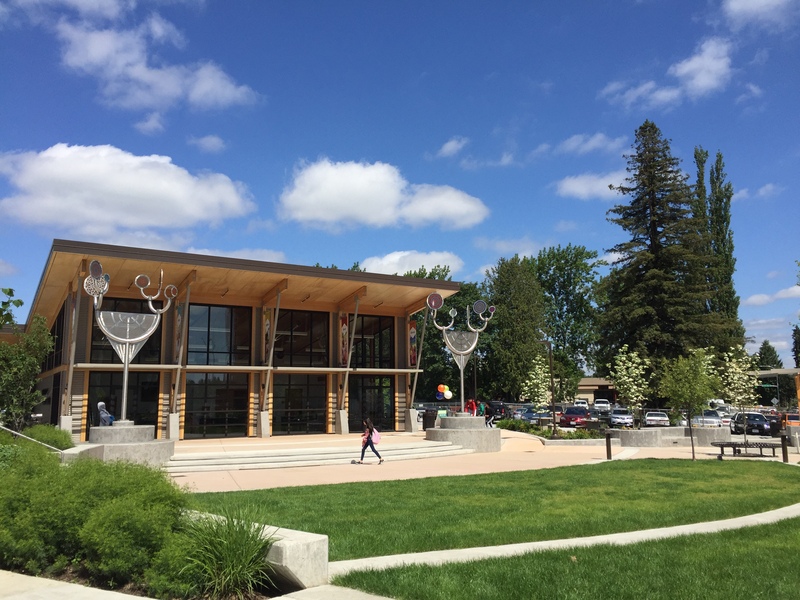 The Board of Architecture Review approved the design of the library on November 14, 2013 and of the first development phase (which includes the community room and plaza) on November 26, 2013. The BAR held a public hearing and approved the second development phase on March 27, 2014. The developer submitted the first building permit applications in 2014. In August 2014 the developer and City signed an agreement giving site control to the developer and allowing the developer to start site and foundation work. KCLA purchased its parcel of land from the City in May 2015. 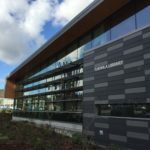 Soon after, KCLS selected Edifice Construction as the contractor and began construction. 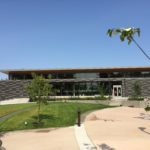 The library expects to open on April 29, 2017. In May 2015 the developer started grading the site and installing utilities and underground foundation infrastructure for Buildings A, B and C. In 2015 and 2016 the City completed consolidating the lots into developable sizes. In 2016 the developer began grading and installing utilities and foundations infrastructure for Buildings D and E. The developer started construction on Buildings C and D in July 2016. The developer completed Building C in fall 2017and Building D in May 2018. The developer expects to complete Building E in fall 2018 and Building A in 2019 and Buiilding B in 2020. For more information contact Economic Development Administrator Derek Speck.